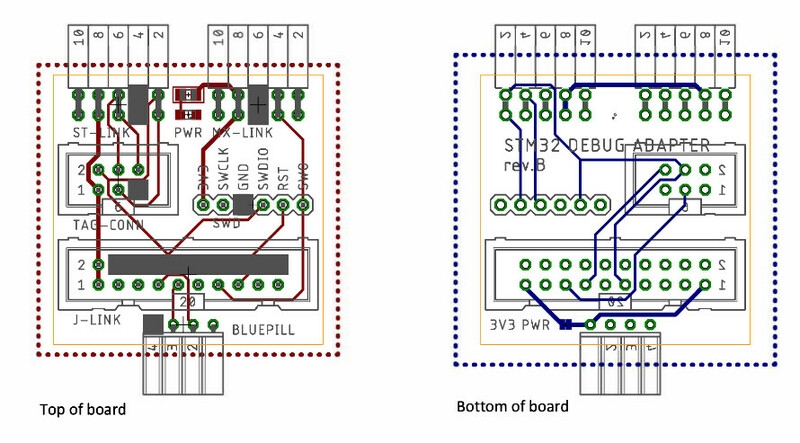 The official development boards (Nucleo) with STM32 microcontrollers contain standard programming connector - SWD. But, we can buy a lot of different development boards with STM32 and also programmers, mostly from China. The reconnecting between boards and programmers solves this adapter. The adapter supports a few programmators - original ST-Link by STMicroelectronics, ST-Link which is available on Nucleo development boards, chinese programmers like ST-Link V2 and MX-Link and popular J-Link by firmy Segger. The difference between chinese ST-Link V2 and MX-Link is only one - SWO and GND are switched. The programming adapter for STM32 development board and programmers is really good described on github. Thumb up for developer.